HomeBusinessReality Check: What should owners of old diesels do? Reality Check: What should owners of old diesels do? The government’s clean air strategy, which was published on Monday, describes reducing pollution from nitrogen oxides (NOx) as its most immediate challenge. NOx emissions come mainly from diesel vehicles. Much of the strategy on road transport had been announced previously, including the pledge from July to stop all sales of new conventional petrol or diesel powered cars and vans by 2040. But it devolves responsibility for reducing NOx emissions mainly to a local level, mentioning measures planned by the mayor of London. On 8 April this year, London’s Ultra Low Emission Zone (ULEZ) will come into force, requiring some motorists to pay £12.50 a day to drive into the existing congestion charging zone, on top of the current £11.50 charge. 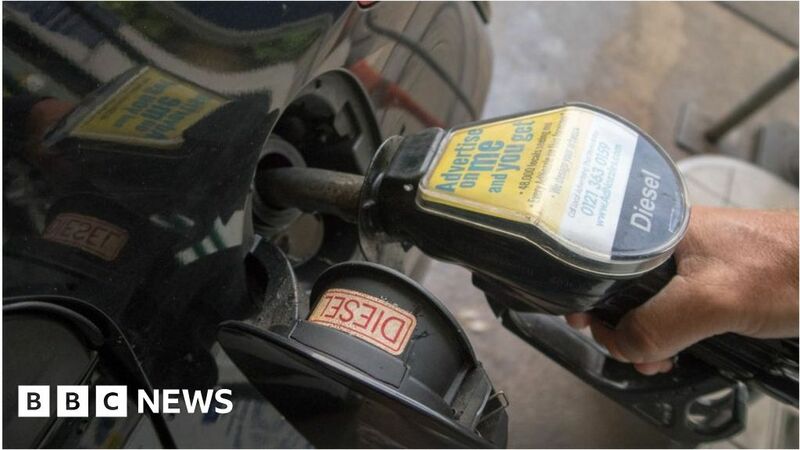 The charge will apply to drivers of petrol cars that do not meet the Euro 4 emission standards only, which generally means cars registered before 2005. But diesel owners will have to pay if their cars do not meet the Euro 6 standard, which generally means anything registered before September 2015. You can check whether your car will be affected here. In October 2021, the ULEZ will expand to cover all roads inside the North Circular and South Circular. BBC Reality Check examined whether diesel cars were more harmful than petrol ones last year. While many owners feel they were encouraged to buy diesel cars because of their lower CO2 emissions, they are now being discouraged because of their emissions of oxides of nitrogen. Registrations of new diesel cars fell 30% last year, according to the Society of Motor Manufacturers and Traders (SMMT). Overall, registrations were down 7% from 2017 levels. It means that 32% of new cars registered in 2018 were diesel-powered, down from about 50% five years ago. If you are an owner of an older diesel, what can you do? Some of the action against diesel vehicles was taken after it emerged, in 2015, that software used to cheat emissions tests had been built into millions of Volkswagen diesel cars. VW has made modifications to affected vehicles in the UK but has not offered any compensation. Various class-action lawsuits are under way, claiming that the performance and resale value has been affected. The government considered funding a scrappage scheme to encourage owners to replace older, more polluting cars with new ones. It might have been similar to the one introduced in the 2009 Budget, which offered owners of cars more than 10 years old £2,000 towards a new car if they scrapped their old one and which finished at the end of March 2010. But in the end, the government decided not to bring in a national scrappage scheme. It does currently have a subsidy scheme for plug-in electric cars, which covers up to one-third of the purchase price to a maximum of £3,500, but it does not require old vehicles to be scrapped. Several car manufacturers run their own scrappage schemes, offering customers money off new vehicles if they trade-in old ones. Some of them will accept only diesel vehicles, although some will also accept petrol cars. It tends to depend on the age of the car, its emissions, how long you have owned it and which new car you are planning to buy. Better news for owners of diesel-powered cars is that they have held up much better in the second-hand market. Sales have continued strongly since 2015, according to figures from the SMMT. “Generally, used-car buyers are far less concerned with issues surrounding diesel than their new-car counterparts,” said Derren Martin, head of UK valuations at cap hpi. The chart above shows how second hand prices have changed. For example, a three-year-old diesel car – that’s one with a 2016 registration plate – sells for more than a similar three-year-old diesel car did a year ago. The increasing prices for second hand diesel cars since last summer is quite unusual. Cap hpi, an automotive data provider, expects depreciation of between about 3% and 5% in this figure. And while it has been a very strong year for all used-car prices, it now expects prices to return to that sort of depreciation. Does Help to Buy prop up housebuilders?